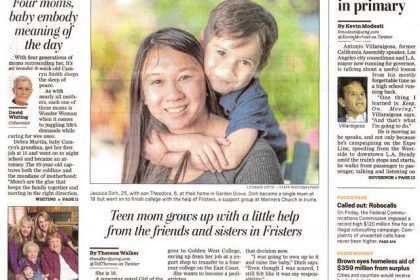 An article about Fristers appeared on the Mother’s Day edition cover of the Orange County Register on May 13, 2018. 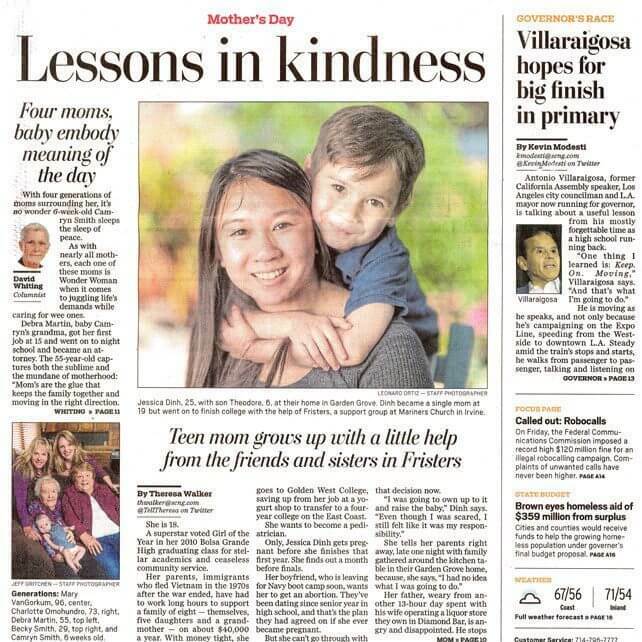 The article is about Jessica Dinh, 25, and her son Theodore, 6. Dinh became a single mom at 19 but still managed to finish college and is planning to attend graduate school.